We already know that this month is tough – emotionally and financially! Good: I got called to do a campus visit interview for the job I recently talked about. It’s really kind of odd. They told me to pencil in 1-4 on a couple different days and they’d get back to let me know which day works for the committee. Very different than my other interview experiences where I’ve had a full day worth of meetings and activities, complete with detailed itinerary and dinner with faculty. I’m hoping this has more to do with the last-minute nature of this job posting and is not a red flag of a potentially low salary (no salary range was listed in the job posting, it just said DOE. I’m very nervous about a surprise super low salary offer, where we might be too far apart to even negotiate). Bad: Hubs’ truck was making a super scary noise and not braking correctly so he took it into the shop. We were hoping brakes were the issue (they were recently replaced and are still under warranty), but nope. It was related to power steering (he told me more specifics, but I can’t recount the issues here because I’ve already forgotten the names of the leaking/broken parts). Price tag = $1350. Could not have come at a worse time. Good: We had nearly $900 in our car repairs saving account! I’m going to pay for the repairs on a credit card so I can buy myself an extra month until it has to be paid (note: I still use the credit card for large purchases for the extra assurances and to earn some credit card rewards points, but I always pay it in full when the bill is due). I’ll be able to put $900 toward it from the money we already currently have and the other $450 will come from next month’s budget (since the bill won’t be due until next month). Wiping my brow, thankful we have that savings to cover the majority of the expense! Bad: I cannot get my husband into the dentist. Cannot do it. Does anyone have any tips on this? From a logical perspective, he totally agrees he needs to go and should really have better oral hygiene – taking more preventative measures instead of waiting until things hit “crisis” level (aka: root canal) and being hit with a much larger bill. So – that’s not the issue. He “gets” it and he agrees. Part of the issue is work-related. Especially with the lower income he’s been drawing he really wants to focus 100% of his energy on work and not take time off for dental appointments. The other part is more psychological. He hates the dentist. I want him to go to a new dentist (an awesome local family-run office who has cut me deals for paying cash and works with me on price), but he refuses to get another dental x-ray. After his health scare in late 2013 when he had a million medical procedures performed, he’s very aversive to any additional procedures. He’s especially reluctant to have new x-rays done because he thinks he’s going to get cancer from all the exposure. He did try to call and have his dental x-rays transferred from his old office, but they send some file format that can’t be opened by the new dentist. The new dentist would even do it for FREE, so it’s really not a cost thing. It’s all about hubs’ fear of dentist/x-ray/dental work and his reluctance to take any time off work. Suggestions? I’m at a loss. Good: We were officially accepted to a new preschool starting in mid-August! I will be very sad to leave the JCC. They truly have an incredible program! But I really like the new school too and I will LOVE the close proximity to our house and the lower cost! One caveat is it only operates during the school year (not year-round), so I may still enroll the girls in summer camp at the JCC next summer (which, of course, means summer months will be more costly for childcare since JCC costs more). I do like that as a possible compromise though. What are some good (or bad) things that have impacted your finances lately? I always wanted to travel from a very young age. Even though color television was relatively new there were plenty of movies at the cinema and color magazines with articles on faraway places to feed my mind. I was never quite sure how I would realize my dreams. After all commercial passenger flight was not like it is today. As time passed it became obvious that many of these places were indeed in reach. An uncle actually spent some time in the Merchant Marine. He crossed the Pacific many times visiting lots of countries in South East Asia though he was rarely in port for long enough to actually explore many of those countries in depth. I didn’t see myself as a seaman, but his stories reinforced my desire to travel. It would be all about earning the money and finding the time. Years on I have pretty much fulfilled my dreams, but it has not been without problems along the way. There is plenty of temptation which sometimes manages to push common sense to one side. As the real estate market grew common sense should dictate that the equity created should be used sensibly; retirement is an obvious thing to consider. I must confess that at times remortgaging funded travel which although immensely enjoyable brought no financial return. Most people have succumbed to credit cards. They offered readymade credit limits. They should really be used for convenience. Instead, I managed to build up some core debt; balances on a range of cards and each of those cards were costing me penal interest at the end of each month. Fortunately, I saw the problem growing and was able to rectify the situation before it got too serious and beyond control. The danger is that credit card balances can somehow escape being regarded as real debt because until the recession came many didn’t feel they would have to be paid back in full. The recession ended any feeling of complacency because as people’s finances crumbled demands often poured in. I had managed to negotiate a consolidation loan before the recession struck. I cut up all but two of my credit cards immediately and paid off every outstanding balance incurring such high-interest rates. It did mean for the next five years I had a fixed monthly payment to make; 60 months and all that money I had used to travel was paid back at a realistic interest rate. I’ve learned a few lessons in this exercise. Certainly I have enjoyed my travels and hope to continue to do more as retirement approaches. I’ve been fortunate that my income justified the consolidation loan because I certainly lacked some financial self-discipline at times. Credit card companies were perfectly happy to issue cards to anyone who wanted them. Indeed, they seemed to offer them without being asked. It is a trend that seems to be returning today even though the recession has only just receded. If anyone asks me now about cards I would certainly say that they should only be used for their convenience, and not a way to get a loan. Every monthly balance should be paid off in full; I do this now although it took me a while to realize its importance. There is nothing wrong with borrowing money responsibly. There are loans available for those with the ability to pay the loan amount in full, and the interest rates can be less expensive than what you are paying on cards. That was what I found in my case. I was fortunate to have both a full-time monthly check and money made part-time with my online writing. I write on a variety of subjects based on what my clients want. In addition, if anyone invites me to write about finance, I volunteer advice for nothing. The recession produced many casualties. A huge proportion of them were not as complacent about borrowing as I was. Circumstances brought them down. I think back and feel relieved that my complacency did not cause me more problems. I’ve seen most of the world and intend to continue to see more in the coming years. Credit could have been my downfall, yet borrowing solved my problem with a sensible consolidation loan. If you look at your own situation and see some of the warning signs that I have alluded to then seek advice. 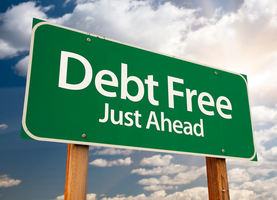 If you have the time and patience, you can do the research on your own, and you can end up apying a lot less on your debt over the long run as you pay it off.